Fancy crowns are perfect for kids parties and playing dress-up. Princess crowns are a must for every princess birthday party. 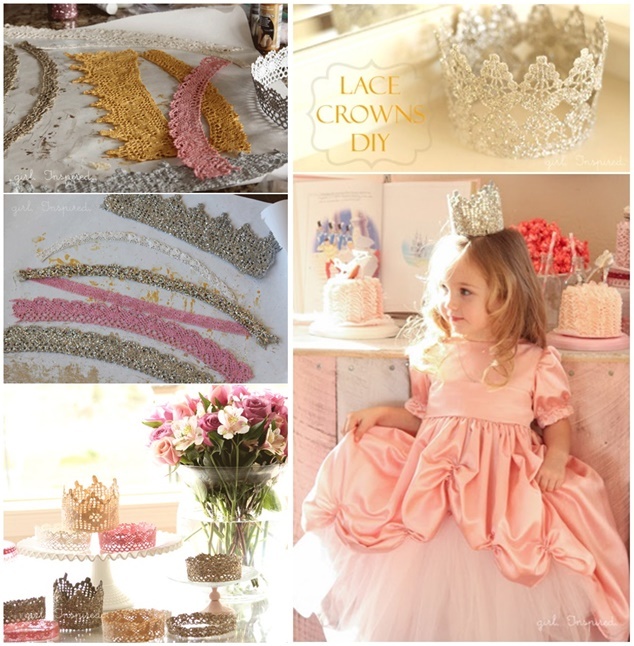 Your little princess will love these crowns that you make with lace. The best part is that kids can decorate themselves! So fun!